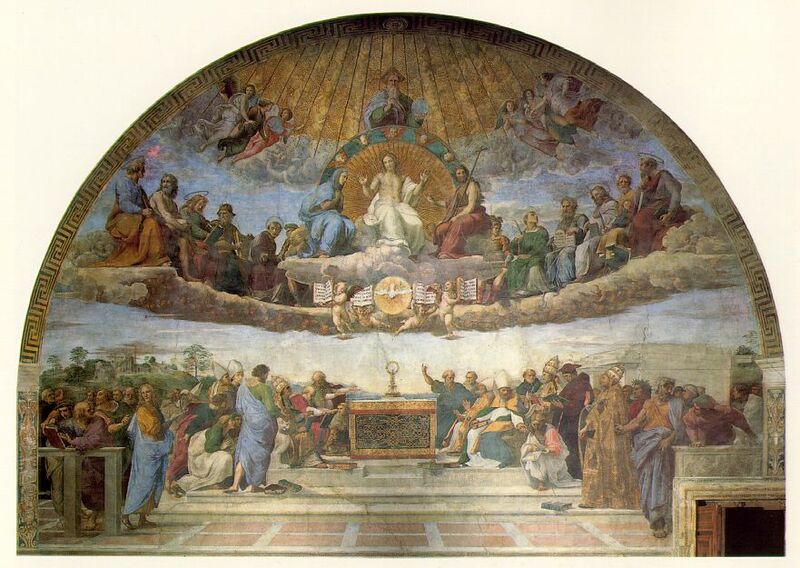 The Holy See, in recent news, has posted the Holy Father's Post-Synodal Apostolic Exhortation, Verbum Domini. Officially promulgated on the Feast of St. Jerome, to whom we credit the Latin Vulgate, the documents speaks on the need and gift of the ancient prayer form, Lectio Divina. It opens with the reading (lectio) of a text, which leads to a desire to understand its true content: what does the biblical text say in itself?Without this, there is always a risk that the text will become a pretext for never moving beyond our own ideas. Next comes meditation(meditatio), which asks: what does the biblical text say to us? Here, each person, individually but also as a member of the community, must let himself or herself be moved and challenged. Following this comes prayer (oratio), which asks the question: what do we say to the Lord in response to his word? Prayer, as petition, intercession, thanksgiving and praise, is the primary way by which the word transforms us. Finally, lectio divina concludes with contemplation(contemplatio), during which we take up, as a gift from God, his own way of seeing and judging reality, and ask ourselves what conversion of mind, heart and life is the Lord asking of us? In the Letter to the Romans, Saint Paul tells us: "Do not be conformed to this world, but be transformed by the renewal of your mind, that you may prove what is the will of God, what is good and acceptable and perfect" (12:2). Contemplation aims at creating within us a truly wise and discerning vision of reality, as God sees it, and at forming within us "the mind of Christ" (1 Cor 2:16). The word of God appears here as a criterion for discernment: it is "living and active, sharper than any two-edged sword, piercing to the division of soul and spirit, of joints and marrow, and discerning the thoughts and intentions of the heart" (Heb 4:12). We do well also to remember that the process of lectio divina is not concluded until it arrives at action (actio), which moves the believer to make his or her life a gift for others in charity" (Verbum Domini, 87). Once again, praise God, for the gift of His servant, Pope Benedict XVI. AD MULTOS ANNOS!! 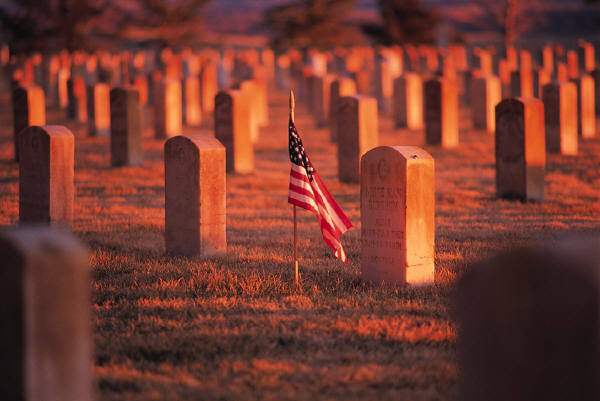 for their loved ones and their country. the land of goodness that it should be. that has room for all others too." It is Providential that Veterans' Day would fall on the Feast of St. Martin of Tours -- a soldier and priest -- whose life exemplified the characteristic of sacrifice, duty, honor and love for others. 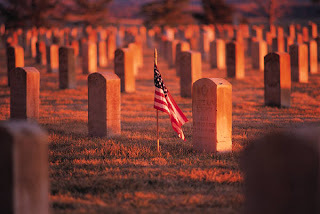 Through his intercession, O Lord, grant strength to all our Veterans and eternal rest to those who have died. Amen. A reductionist habit of mind will tend to see the whole (i.e., the world of nature, trees, animals, flowers, human beings, etc.) as nothing more than the sum of the parts that make it up. Reductionism goes hand in hand with scientism, which is the view that the only valid knowledge is scientific knowledge of the empiriometric kind (i.e., physics, chemistry, etc.). Although the reductionist habit of mind makes for good science, it is a flawed method of explaining things ultimately. In other words, it makes for bad philosophy. Let me begin by making a point about number. Number is multitude, organized and identified and measured by unity. Multitude is plurality, pure and simple, and as such it is unorganized. Think of a continuous extension, like a quantity of milk. To number it, we need a unit, such as a litre. Now, in itself a plurality is unknowable, but it is known only when measured by unity. To reduce a plurality to unity is to number it, and our material world can accordingly be organized into unity. I will return to this. Consider as well: man has two interiors. The one is physical (i.e., we can look inside his body). But no matter how much we search the physical interior of a man, we will never know what is contained in the other interior (the interior he refers to when he speaks of his "mind" or "heart"). The human being has to manifest it by acting – in this case, speaking. There are also two interiors of any substance, like a carbon atom. The only way to grasp the interior of a carbon atom is to observe how it acts. Its activity reveals its nature. It does not have a conscious interior, like man, but it has a determinate nature. The interior of the atom is not the parts that constitute it. Rather, the interior is the nature of the atom. But that is just what reductionism denies. Reductionism says that this "thing" is nothing more or other than the parts that make it up. So, there really is no "it". "It" is a word, but "it" is nothing other than parts. But if I understand "parts", does that not presuppose that I understand "whole"? If I know of the "parts of a thing", does that not presuppose I know "thing"? If I didn't understand "thing", I would not understand "parts of the thing". So, if there is no "thing" or "it", there are no "parts of it". We could not speak of "real parts" if there is no "real whole" or "real thing". But the reductionist claims that you, as well as anything else, are nothing other than the constituent parts. But what are the parts? The reductionist would say that each part is nothing other than its smaller constituent parts. What is an organ but the cells that make it up? And a cell is nothing other than the parts that make it up, that is, the parts that constitute it. Of course, we have the same problem. How is it that I am able to grasp the notion of "cell" if the cell is nothing other than those constituent parts that make it up? What is the "it" that is constituted? The answer: the cell. But is the cell a determinate part? Does it terminate into a definite intelligible part of a larger whole? And is the whole thing (i.e., the cat) something determinate, that is, terminated as a definite intelligible whole, a thing in itself? One's answer is either yes, or no. Consider as well: man has two interiors. The one is physical (i.e., we can look inside his body). But no matter how much we search the physical interior of a man, we will never know what is contained in the other interior (the interior he refers to when he speaks of his "mind" or "heart"). If the answer is yes, then the cell, or the organ, or the cat or man, is more than the multiplicity of parts that constitute it. The parts are reduced to a unity. That unity is called the cell, or the organ, or the man. That unity renders the multiplicity of parts intelligible. A raw multiplicity is unintelligible unless it is reduced to a unity. That is why we number things. An extension, for example, is measured by a unit called a yard. But a yard is numbered by the unit called a foot, which in turn is numbered or reduced to a unit called an inch. Hence, a foot is 12 inches. A number is a measure of quantity. Without a number, the quantity remains unorganized. A multiplicity does not give itself unity. The unity comes to it from the outside, from outside the multiplicity. A multiplicity considered in itself is not a unit, and a unit is not a multiplicity. A unit is one. An inch terminates or determines an extension, giving it determination (definition, intelligibility). A litre measures or terminates a quantity of liquid. A pound terminates a quantity of weight, allowing us to determine the weight, to know its weight (i.e., this person is 200 pounds, that milk carton is 2 litres, that table is 5 feet, 6 inches, etc.). At this point the plurality is organized into an intelligible quantity. One may object and claim that it is not true that "a unit is not a multiplicity. A centimetre is made up of millimetres. Hence, a centimetre is a unit, but it is a multiplicity at the same time." A centimetre, however, is a unit (one one hundredth of a metre) that measures a meter, but because the centimetre is an extension, it too can be measured. To do so, we have to divide it further. A millimetre is one one thousandth of a meter. And so the unit of measure, like the centimetre, is not outside of the multiplicity spatially. Rather, it is outside of "multiplicity", that is, it is not itself a multiplicity, but a measure of multiplicity. As extended, it is a multiplicity that is open to being measured or numbered. To do so, we need a smaller unit of measure, i.e., the millimetre. But the unit allows us to number multiplicity (quantity, or the multiplicity of parts outside of parts). But "one" itself is not a multiplicity. Multiplicity does not number or measure multiplicity, a unit does. A single cell, similarly, is an intelligible thing. A scientist sees it as a biological unit, certainly a part of a larger whole (the organ), or a whole unto itself, if it is a single celled bacteria. He begins to analyze it and study its constituent parts. Now, if the answer to the above question ("Is the cell a determinate part?" "Does it terminate into a definite intelligible part of a larger whole?") is no, then the cell is nothing other than "its" constituent parts, i.e., proteins, amino acids, etc. 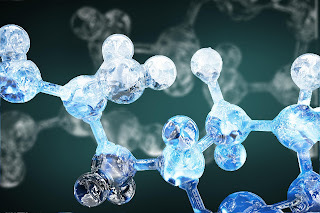 These in turn are ultimately nothing other than atoms of elements, which in turn are nothing other than subatomic particles, which in turn are nothing but smaller subatomic particles, etc. The result is that "thing" is not anything in itself. It is always other than "itself". A man is not a thing in itself, a dog is not a thing in itself, a flower is not a thing in itself, a single celled organism, like a bacteria, is not a thing in itself, an atom is not a thing in itself, etc. Everything is other than "itself". There is no "itself". Nothing has any "interior". Nothing is what it is, but is "other than" what it is. Nothing has any determinacy. Nothing, therefore, is knowable. Everything is unknowable; for we cannot know what is indeterminate. Once again, science becomes a fiction, a construct. This will mean that science does not uncover the intelligibility of nature, because nature is not intelligible, it is absurd and unknowable. There is nothing in itself to know. And that is why genuine reductionists who take their conclusions to the very end are post-modernists who deny the existence of truth. Man is the measure of what is true and good, even though there is no "man" (no "thing" in itself). But then one has to ask: "How is it possible to understand change?" Take the concept of evolution. When we speak of evolution, we speak of something evolving. But if there are no "things" in themselves, then "nothing" evolves. I can only understand change when I understand that something enduring has changed in some way, i.e., you sat in the sun and became tanned. Your color changes, but you are the subject of the change that endured. "Tanned" is the predicate (John is tanned). But there is no ‘you', no cell, no organism of a determinate species, so what, therefore, evolves? In other words, change can only be understood against the backdrop of that which endures, that which is unchanging. Reductionism is thus incompatible with evolution. And so, reductionism leads to the conclusion that categorical propositions are impossible. They are not real. For example: "John is a man" or "the cell divides" are nothing more than linguistic constructs that create the illusion of "thing". The principle of identity as well is a construct, and logic, in the end, can be nothing more than a construct. The reductionist, however, "reasons" to conclusions from given premises. He says things like: The mind is nothing but the brain, and thinking is nothing but firing neurons, or neural biochemistry, and therefore man is not essentially different than brute animals, etc. Some reductionists, not all, proceed further and will conclude from all this that we should stop treating ourselves as privileged creatures, etc. Notice the reasoning from premises to conclusions, even though logical reasoning, which depends on categorical propositions, is impossible if reductionism is true. Note also their desire that everyone conform to the fundamental truth that "man is nothing more than…" the truth which does not exist in the first place (since all science is a fiction). The truth is that there is no truth, just constructs. And if that is the case, it would seem that all constructs are equally valid and invalid at the same time (in other words, the principle of non-contradiction is also a construct). Which construct, therefore, is going to prevail? It is the one with the most power behind it. If we wish, however, to hold on to our common sense and avoid this entirely irrational state of affairs, then let us return to the "yes" alternative above. If the single celled organism, for example, is a thing in itself, what is it that reduces the multiplicity to a unity, a determinate thing or entity that can be studied? It is something outside the multiplicity. One cannot appeal to the parts that make it up. The parts are organized into an intelligible whole (unity). The principle of unity is a principle that is outside the parts, a principle that embraces the whole and determines the parts to be what they are. In other words, we must proceed in the complete opposite direction of reductionism. It is the whole that explains the part or parts. Some principle belongs to the whole organism (or atom or bacterium) that determines it (and all its parts) to be what it is. We are back, once again, to the formal cause. Deacon Douglas McManaman. "What is wrong with Reductionism?" CERC (November 2010). Doug McManaman is a Deacon and a Religion and Philosophy teacher at Father Michael McGivney Catholic Academy in Markham, Ontario, Canada. He is the past president of the Canadian Fellowship of Catholic Scholars. He maintains the following web site for his students:A Catholic Philosophy and Theology Resource Page, in support of his students. He studied Philosophy at St. Jerome's College in Waterloo, and Theology at the University of Montreal. Deacon McManaman is on the advisory board of the Catholic Education Resource Center. A blog that I read on a regular basis has posted a link to a video that was taken of the aftermath of the massacre that took place in Baghdad. WARNING: it is graphic, disheartening, chilling..... But I think it offers a very clear picture and image of what Christians are facing in Middle East. If you desire to watch the video, please go to Communio. Today, is the Commemoration in the Order of Mercy, of All Souls of the Order. On this day, like the General Commemoration on November 2, we remember and pray for the deceased Friars, who having fulfilled their mission in this life, have passed on. It is a truly wholesome and noble duty of the faithful to pray for the dead and to offer sacrifices for the repose of their souls. Normally, this day, within the Proper Calendar of the Order, would be November 7. However, following the traditional practice of transferring a Commemoration of the Dead from a Sunday to the following day, this year, the Friars commemorate this day on November 8. From the beginning, Christians have prayed for the dead and have undertaken works of penance on their behalf. There is scriptural basis for this intercessory prayer for the sins of others and for the dead in the Old Testament. Job's sacrifices purified his sons (Job 1:5); and Judas Maccabeus "made atonement for the dead that they be delivered from their sin" (II Macc 12:46). 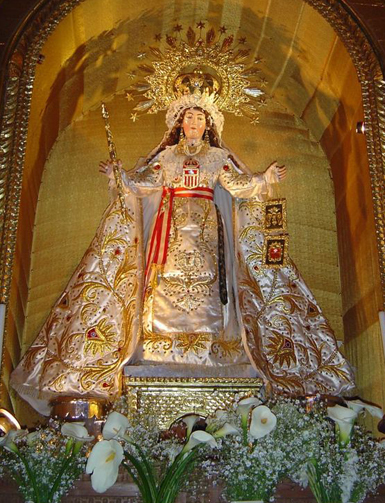 Happy Feast Day to all!!! 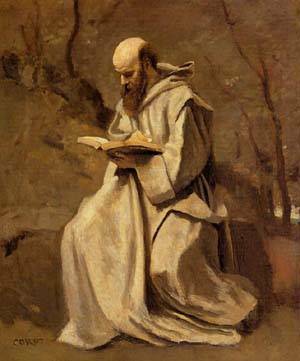 Like, the general Solemnity, this Feast allows for us to reflect upon the gift and grace of holiness, exemplified in the lives of the Friars and Nuns of the Order... those lives not too well known to us, but certainly alive in the mind of God. In their great gift of prayer and sacrifice, the Faith of the Church and the souls of Her Children, were strengthened and renewed in the practice of the Faith. The Order is proud to profess and acclaim the many martyrs, who, though not officially recognized by the Church, still in the course of time have given a clear witness to the love and Passion of Christ. The Order is proud to acclaim the many friars and nuns, who spent their lives in prayer and daily living of the Rule and Constitutions and gave a silent testimony to holiness in this world. Let us pray for a greater awareness of our Mercedarian Saints and for the grace to be like these men and women, to gave of themselves completely for Christ, through Our Lady's hands. St. Peter Nolasco, pray for us. St. Peter Paschasius, pray for us. 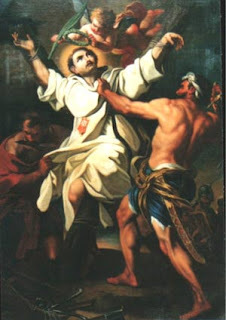 St. Raymond Nonnatus, pray for us. St. Serapion Scott, pray for us. St. Peter Armengol, pray for us. St. Mary Cervellon, pray for us. Blessed Mary Ann of Jesus, pray for us. Blessed Marguerita Maturanna, pray for us. Blessed Juan Nepumoceno Zegri, pray for us. All Mercedarian Saints and Martyrs, pray for us. "And He showed me that it was His great desire of being loved by men and of withdrawing them from the path of ruin into which Satan hurls such crowds of them, that made Him form the design of manifesting His Heart to men, with all the treasures of love, of mercy, of grace, of sanctification and salvation which it contains, in order that those who desire to render Him and procure for Him all the honor and love possible, might themselves be abundantly enriched with those divine treasures of which this Heart is the source. 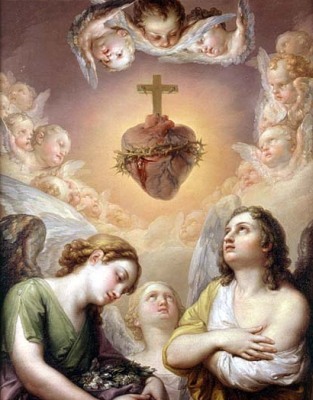 He should be honored under the figure of this Heart of flesh, and its image should be exposed...He promised me that wherever this image should be exposed with a view to showing it special honor, He would pour forth His blessings and graces. This devotion was the last effort of His love that He would grant to men in these latter ages, in order to withdraw them from the empire of Satan which He desired to destroy, and thus to introduce them into the sweet liberty of the rule of His love, which He wished to restore in the hearts of all those who should embrace this devotion."..... 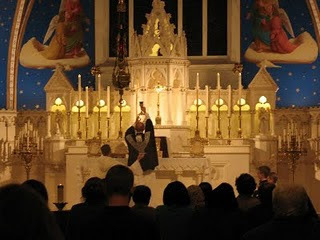 "The devotion is so pleasing to Him that He can refuse nothing to those who practice it." 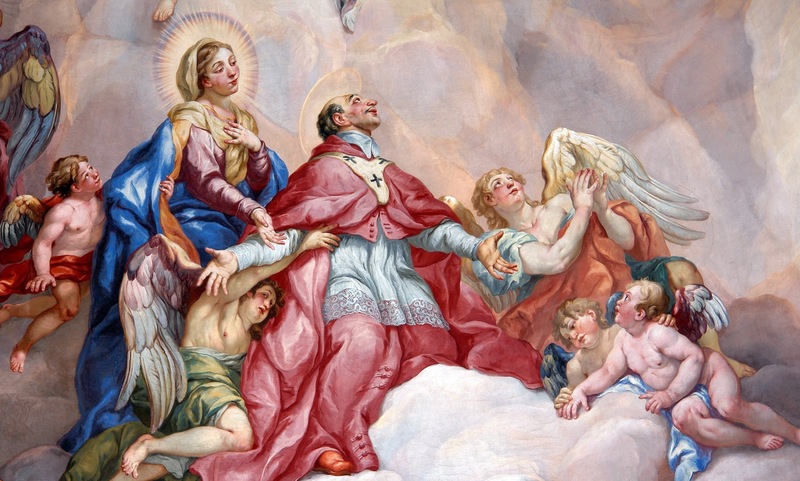 Today, for our seminarians, it is a special day of celebrating and calling to mind the example of St. Charles Borromeo. This man, coming from a world of utter privilege, chose, instead, to sacrifice the comforts of this life and embrace the cross of following Christ, in love. What is particularly interesting about the life of this Saint, is that it closely mirrors that of a Mercedarian. St. Charles was an avid preacher and defender of the Truths of the Faith, in the face of Protestant opposition. 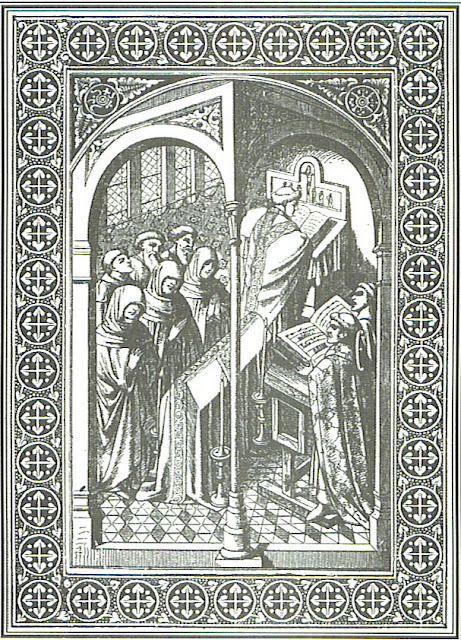 Being one of the keen minds in the writing of the Catechism and the development of formal institutions of priestly formation, Borromeo recognized that the fidelity of living the Faith depended heavily, if not solely, on the cooperation of the priests in the work of grace, in handing on solid formative and catechetical teaching. Our seminarians study at St. Charles Borromeo Seminary in Wynnewood, PA. Thus, today, there is a solemn Mass with the Cardinal Archbishop of Philadelphia, Justin Rigali. 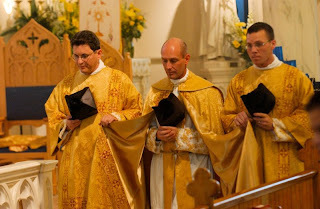 Those priests who have graduated from "the Brook" know what the festivities entail. Please keep the seminarians in your prayers as they strive to model the fidelity and witness of Charles Borromeo, especially those seminarians who will receive Candidacy for Holy Orders.